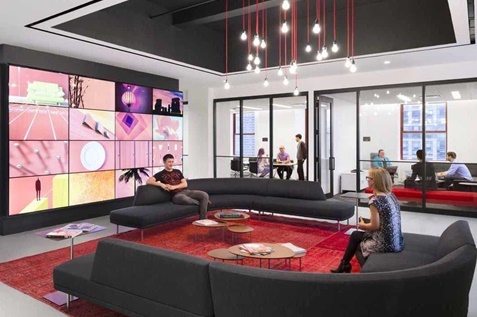 Home » Greenroom » Can Leveraging Technology Help Create A Greener Workplace? Can Leveraging Technology Help Create A Greener Workplace? 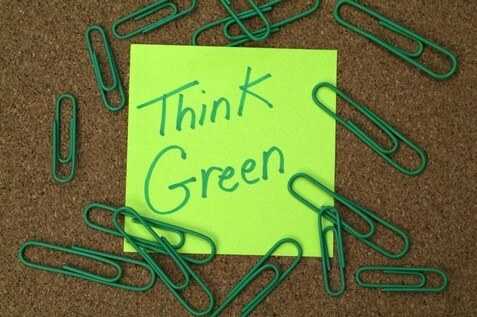 You, like many organizations, may believe that creating a greener workplace is an expensive and time-consuming endeavor. However, innovative ideas demonstrate that leveraging technology for a greener workplace not only saves your business money but also enhances your reputation as an eco-friendly business. Studies have shown that a greener workplace results in a more productive and healthier workplace and a lighter ecological footprint. Regardless of whether you are an employee, boss or business owner, leveraging technology for a greener workplace will result in a more productive work environment. Many aspects of the workplace such as commuting options, product preferences and office management can use technology to achieve green objectives. The following list of suggestions, while not in any way exhaustive, will get you started on the path to a greener workplace. Unplug equipment that is not in use. Think of unused scanners and old printers that your office only keeps around as a backup option in the first place. Set computers to utilize energy-saving settings that turn them off after a given period of being in standby mode. Consider investing in technologies such as the eco button, a USB device that at the touch of a button will switch off your computer every time you leave your desk. Plug electrical devices into a smart strip that comes with an on/off switch. This will ensure that you turn off multiple devices at once. When you replace worn out appliances and devices, upgrade to a greener counterpart. While we are in the digital age, your workplace may still be creating a lot of paper documents that you use once or twice and then trash. The ideal situation is to eliminate all use of paper, yet this is not possible. Nevertheless, the greenest solution is to transition to digital documentation to the degree to which your business is able. Innovative and safe cloud solutions such as Google Drive make it easier to store all your documents on secure offsite servers. This eliminates the need to keep paper backups. Moreover, keeping your data on computers and cloud servers makes it easier to store such documents. This prevents the inconvenience of losing documents when your moves offices. Also consider reviewing documents onscreen as opposed to printing them out. Invest in software such as Greenprint, which converts documents to PDF format for safe and paperless document sharing. Carpooling and ridesharing services such as Lyft, Uber and Carma reduce stress on passengers as only one person drives while everyone else remains fresh. While you may have an attachment to your old vehicle, you may want to consider purchasing either an electrical vehicle or a hybrid. While some people may look down on bike riding, it is one of the fastest ways of getting around in cities clogged with traffic. If you are an employer, consider giving special benefits to hybrid and electric vehicle owners or more leeway to those who use public transit. Modern technology allows for efficient telecommuting. If you have not implemented telecommuting, you may be missing out on a lot of potential savings. If you or your employees can hold online conferences, use instant messaging or otherwise work from home, by all means do it. 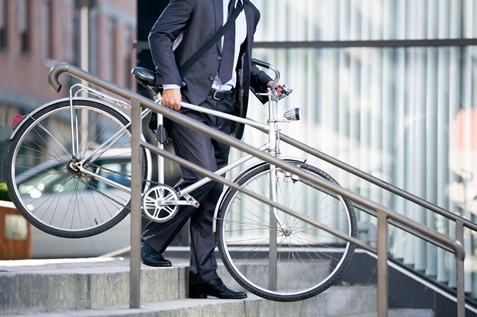 You will save time while reducing the pollution commuting creates. With telecommuting, it is possible to replace the five eight hour days with four ten hour days as the time you waste in the commute goes down by up to 20 percent. That being said, you still have to ensure the security of your company’s sensitive data when you allow staff to work online from outside the office. You might even have a dedicated team for online marketing of your business that needs to be protected. Check out Secure Thoughts’ recommendations on using a Virtual Private Network to ensure the security of your corporate data from hackers. Staff may be using vulnerable public networks while telecommuting which can quickly lead to a disastrous data breach. Hire cleaning services that use environmentally friendly biodegradable products. These will not only reduce your ecological footprint but will keep your workplace safe from toxic substances. Try using refilled or previously used ink cartridges rather than buying new ones. Using them is also cheaper than buying new cartridges. Use pencils and pens made from biodegradable materials and biodegradable soaps and recycled cloth or paper towels in your office kitchen and bathroom. You could redesign your workplace by replacing your furniture (when the time comes) with items made with recycled materials. Consider switching to Compact Fluorescent (CFL) and LED desk and overhead lighting. While they are more expensive than standard incandescent bulbs, they are more energy efficient and save your company more over the long term. To improve satisfaction and productivity, try to redesign the workplace to take advantage of natural daylight by having larger windows. Invest in ventilation systems that offer good air quality that will improve employee productivity while using minimum amounts of electricity. A green workplace aided through the use of technology will provide numerous productivity and health benefits to any organization. With a reputation for being environmentally friendly, your organization will likely attract more clientele. Moreover, adopting a technology-driven green framework will be efficient over the long term and help out your organization’s bottom line. Alsco would like to thank Caroline Black of Secure Thoughts for contributing this article for Greenroom. Secure Thoughts is the industry leader in helping people make sure their information and loved ones’ are protected online.